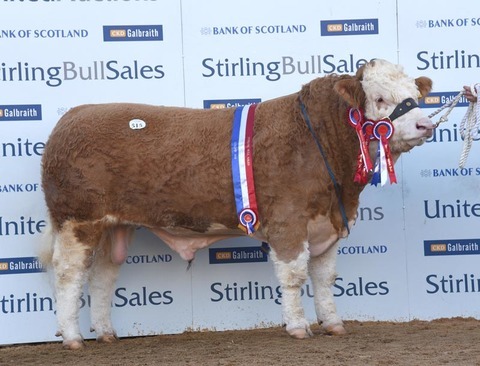 IT was the pre-sale show champion, Corskie Gingersnap which led the Simmental trade at Stirling when selling for 25,000gns to give the Green family, Fochabers their best ever price. 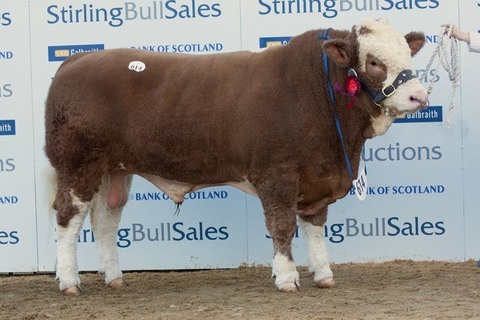 The sale leader was a January 2015-born son of the breed record holder 45,000gns Bel Dhu Capercaillie out of the Popes Laird daughter, Corskie Winola has had great success in the show ring this season claiming the male and junior inter-breed championship at the Royal Highland Show amongst its wins. The buyers were the show judge, Vikki Wood and her husband, Jimmy from Preston, Lancashire. Two bulls made 12,000gns apiece. The first from Stewart Stronach, Keith, was April-2015-born Islavale Galahad which is the first son of the 15,000gns February 2014 Stirling champion Atlow Dixon to be sold. Out of Islavale Teresa, it was knocked down to A.D. Sutherland, Elgin. The other was another from the Greens, May 2015-born Corskie Griffin, also by Bel Dhu Capercaillie and out of Corskie Bethina. It sold to C. Thomson, Wester Tulloch. 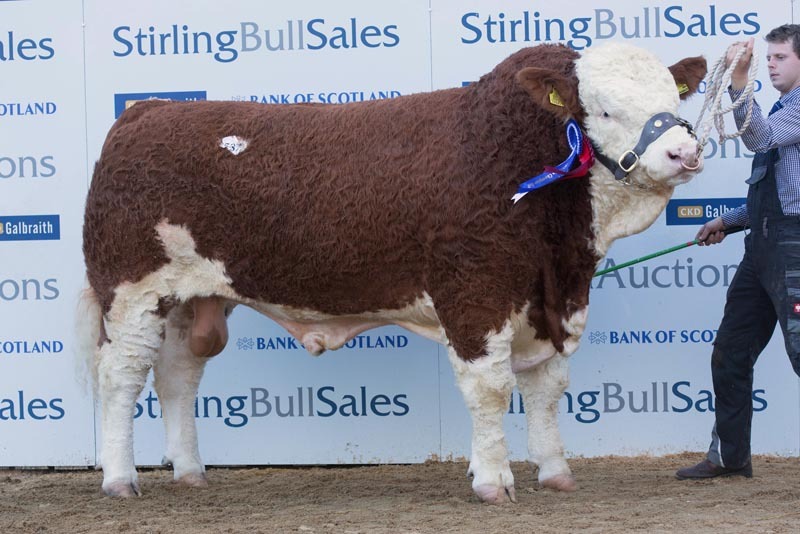 The MacPhersons, Croy, Inverness sold two bulls for 11,000gns. Blackford Grouse, an April 2015-born son of Hockenhill Waterloo, which is a full brother to Bel Dhu Caperchaillie went to John Dykes, West Linton and Blackford Glen Affric by Kilbride Farm Doubleaction was knocked down to K. Matheson, Aberader, Inverness. The reserve junior champion, Corrick Gareth by Carberry Carribbean from C. McIlwaine, Newtonstewart, Northern Ireland made 10,500gns selling to T.C. and G. Greenhill, Angus. At the same money was another from the MacPhersons, April 2015-born Blackford Gulliver by Kilbride Farm Doubleaction which Gordon Nicholson, Nairn. The other bull selling for a five figure sum was Islavale Gaelic by Curaheen Bandit from Mr Stronach which sold for 10,000gns for to A. and J. Craig, Castle Douglas.